Back in the 1980s the high school and college campus parking lots were filled with a wide array of different muscle and performance cars from the 1960s and 1970s. These cars by this time were at least on their second owners; many of which were the teens or young adults who even with a limited income could afford these cars – even cars that in recent years have hit the astronomical territory. Back in the age of the preppy and U2, nobody really saw classic muscle cars being worth anything; they were merely leftovers from a bygone era and were treated as such, being enjoyed – many to the point of being destroyed. There is no doubt the Camaro was popular with many of these youth drivers in the 1980s. The third generation (1982-1992) Camaros during the 1980s, were too expensive. 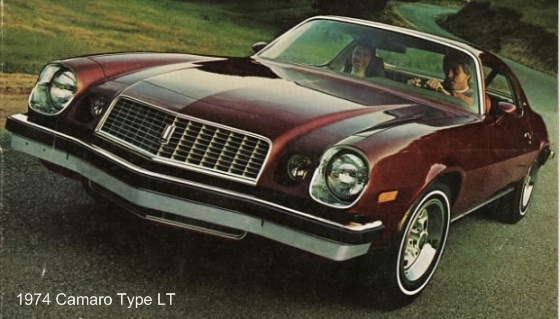 Even the base model third generation Camaros were out of reach for most young buyers. This is where the 1974-1981 Camaro came into the picture. The older SS and Z28 Camaro models were what the young performance-oriented Camaro fans in the 1980s preferred owning. However there were many young drivers who could not afford the insurance or preferred not to spend the extra money on the performance models. Fortunately Chevrolet did offer the Type LT, Rally Sport, and later the Berlinetta models which were all a step up from the base model and each filled a different individual niche while still presenting a very sporty and desirable package to buyers. However it was the base 1974-1981 Camaro or what Chevrolet called the “Sport Coupe” that was the most popular among the youth in the 1980s due to its low cost of ownership. The base Camaro had a reasonable resale value so it could be purchased by even the most budget squeezed buyer in the 1980s. Most of the base 1974-1981 Camaros had fuel efficient V8s, the (straight-six) L6, or a V6; so filling up the tank was within budget for most. Nevertheless some of you reading this article by now are beginning to wonder why the 1970-1973 Camaro is absent; after-all the second generation (1970-1981) Camaro is one big happy family. This would make sense however 1970-1973 Camaros were not produced in the large numbers 1974-1981 Camaros were. They were rare sights in high school and college parking lots back in the 1980s. Same was true with the Firebird and Trans Am back in the day, 1974-1981 Firebirds and Trans Ams were seen on the streets back in the day in much larger numbers than 1970-1973 Firebirds and Trans Ams. Even at car shows today 1970-1973 Camaros are a rare sight in comparison to the hords of 1974-1981 Camaros seen at many big car shows. There sheer high numbers made many available on the secondary market back in the 1980s for America’s youth to buy and enjoy. The Camaro was a statement by the youth of the 1980s who owned them. It was a way of stating that as owners they were a cut above the rest; hip individuals that may have had very tight budgets but still wanted to drive stylish cars. For the same price of a small used import or American compact car, a used 1974-1981 Camaro could be purchased back in 1980s. Used compact cars especially the imports back then were no frills boxy vehicles with styling about as exciting as an insurance sales convention. Many of these Camaro buyers were guys however there were a fair share of the young ladies who were happy Camaro owners. When it came to date night, the Camaro was surely a better pick to be seen cruising around town than a no-frills little econo-box compact car. 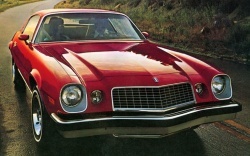 The Camaro did also have another big advantage over the-run-of-the-mill fuel efficient import; it was a safe car for teenagers and young adults to drive. It may have looked sporty but the interior cabin area was surrounded by lots of heavy metal – and I don’t mean the music though many Camaro drivers were banging their heads to this music while driving a Camaro back in the day – I am talking about good old Detroit steel. One pull of the Camaro’s door handle and you soon discover it takes some work to open the big heavy door (they don’t make heavy doors like this anymore). To prove a point the 1978 Camaro weighed in at around 3,500 lbs, while a 1980 Honda Civic weighed in at 1,653 lbs which was less than half the weight of the Camaro. As a general rule the heavier a car is the better it fares in an accident. Unfortunately with the Civic only weighing 1,653 lbs the poor Civic owner was toast in an accident with a much larger vehicle while the Camaro owner had a much better chance of walking away unharmed in an accident with the same larger vehicle especially when you consider the Camaro’s much longer length than an economy car which needed a lot more inertia and weight hitting it than an economy car to crush the Camaro like an accordion. The 1980s were especially dangerous times for small car owners, since there were still many large full-size American cars which weighed anywhere from 3,500 to 5,000 lbs on the road and small cars then were very light with very thin sheet metal; kind of like an aluminum soda can – easily crushable which was not good when you consider people were inside. Today’s economy cars are better fortified and weigh much more and are far safer, as a comparison a 2011 Honda Civic has a curb weight of 2,687 lbs. With all this considered you can see where the Camaro gave its occupants much better odds in an accident than the economy cars of yesteryear, so it was no surprise that many parents were willing to help their kids acquire a Camaro. Another factor for the low cost of base 1974-1981 Camaro ownership was the lower than expected insurance costs. The insurance on a base, Rally Sport, Type LT, or a Berlinetta Camaro was much lower than the high performance Camaro Z28. A lot of this was about perception, for the Z28 was generally thought to be the muscle bound Camaro. However during some years a 350 CID V8 could be optioned on a base (Sport Coupe), Rally Sport, Type LT, or Berlinetta making these cars (equipped this way) real sleepers – fooling even the insurance companies. Part of the reason was that the Rally Sport, Type LT, Berlinetta, and base Camaro during many of these years came standard with Chevrolet’s 250 CID L6 or a 3.8 liter V6, yet many of these Camaros left the factory with small-block V8s, the most popular of which was Chevrolet’s (small-block) 305 CID V8. It was a smooth powerplant that had decent acceleration and good gas mileage, yet a young Camaro owner with even a small meager income could find a plethora of performance parts to liven up the 305 V8 such as headers, high-performance heads, hotter camshafts, aftermarket exhaust systems, free-flow intake manifolds, etc. And for those lucky enough to have Chevrolet’s small-block 350 CID V8 under the hood could just like the 305 V8 with the right performance parts make their Camaros into real screamers (on a larger scale than the 305) while still paying lower insurance premiums than Z28 owners. For instance the owner of a 1978 base Camaro equipped from the factory with the (LM-1) 170 horsepower 350 V8 paid less in insurance premiums than the 1978 Z28 owner with the hottest 350 V8 avaialble which was rated at 185 horsepower (only 15 horsepower more than the LM-1 in the base Camaro – special note: the LM-1 was the standard 350 in the Z28 for 1978, the 185 horsepower 350 was optional in the Z28). Add to that the base Camaro weighed less and theoretically could give the 185 horsepower Z28 a run for its money, due to the lower weight of not having all the extra spoilers and other weight adding options included in the Z28 package, it was a great way to have performance without high insurance premiums. And if the owner of this 350 V8 equipped base 1978 Camaro added performance goodies to the motor as previously mentioned 300 horsepower was easily obtainable and with some real heavy modifications even 400 horsepower was a possibility – and even after all these mods this owner still paid less for insurance than the 185 horsepower 1978 Camaro Z28 owner who kept his Z28 bone stock. This was the hidden value in the Rally Sport, Type LT, Berlinetta, and especially the base (Sport Coupe) Camaro. Not only were these modifications reasonable priced, they could also be performed by any young lad with a basic set of tools, a jack, a set of jack stands, and some free time. This was the era before computer controlled engines and sensors which has made most modifications very complex and left many of the current youth unable to work on their own cars. However the entire 1981 Camaro lineup is the exception to this rule since 1981 was the first year GM’s onboard computer on all its cars, so all 1981 Camaros had electronic/computer controlled carburetors, onboard computers, and the related sensors. Even so the 1981 Camaro is easier to modify and work on for the average Joe than modern cars which have even more sophisticated computers and fuel injection systems. 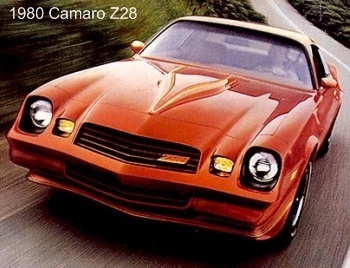 As previously mentioned the Z28 model was the hot ticket in the 1974-1981 Camaro. Its 350 V8 produced 245 horsepower and 280 lb-ft of torque for 1974 which were very respectable numbers. For 1975 and 1976 Chevrolet dropped the Z28 and the Rally Sport was the closest thing the Camaro had to a performance model. However Chevrolet after seeing Pontiac’s skyrocketing sales of its Trans Am during these years decided it wanted back in, and the Z28 was reintroduced for the 1977 model year with a top-of-the-line 4-bbl 350 V8 producing 185 horsepower and 280 lb-ft of torque. This motor would continue to be offered through the 1981 model year ranging in output from 175 to 190 horsepower and 270 to 280 lb-ft of torque. High-altitude and California Z28 buyers would see slightly lower horsepower and torque ratings. The baseline average for the top-of-the-line 350 V8 equipped 1977-1981 Z28 was 0-60 mph in around 8 seconds and the 1/4 mile in around 16 seconds which made the Z28 a quick performer for its day. Camaro interiors were pedestrian in nature, with many having vinyl seating surfaces. However there were more upscale cloth seats available. Fortunately all these Camaros had standard bucket seats and had the automatic or manual transmission shifter on the floor or on the center console which gave even the most barren equipped Camaros a sporty feel. Unlike many Firebirds and Trans Ams of this era power options like power windows and door locks were not as common – many Camaros were equipped with hand crank windows. Also worth noting the 1978-1981 Camaros could be equipped with the removable T-top roof panels. 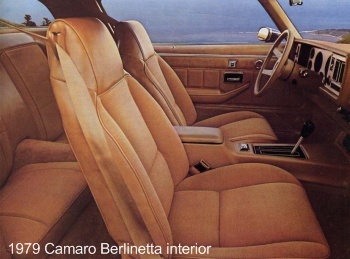 Usually during this era the 1978-1981 Z28s and 1979-1981 Berlinettas were the more lavishly equipped Camaros when it came to interior appointments. One very popular modification most Camaro owners in the 1980s made was putting in an aftermarket stereo cassette deck – it was as popular with owners as aftermarket wheels and tires. Anyone who came of age in the 1980s can attest to popularity among the youth of the 1974-1981 Camaro. For those who lived through these years wanting to repeat the good memories there are still enough of these Camaros available, however their numbers are not as great as they once were and the condition of many survivors are at the point now where an expensive restoration is necessary. The Z28s seem to garner most of the attention, so these were the Camaros that were preserved or in recent years restored. So a lot of base Camaros and even Rally Sports, Type LTs, and Berlinettas have bit the dust over the years. Unfortunately many were modified for more performance so even if you find one with the original motor some of the original parts are long gone. As mentioned before these cars were driven and enjoyed by the youth of the 1980s, so these cars took a heavy beating – you can find unmolested mint conditioned run-of-the-mill Camaros around, but you are going to have to do some intensive searching. Fortunately when you do find them, they can still be had for under $10,000, so the search is worthwhile. If you want that Camaro Z28 you could quite afford back then, but now have the extra scratch for one, there are a lot more of them around in good condition (compared to other Camaro models), since they were preserved and restored in greater numbers. Yet even many of these have had engine modifications so finding a mint conditioned Z28 with original numbers matching motor and all accompanying original parts will require a more intensive search. And if you do find a 1974-1981 Camaro like the one you either once had or always wanted be sure to pop that cassette tape of your favorite 1980s band into the tape deck, roll down those side windows, and crank up those tunes – for there’s nothing that defined youth in the 1980s like cruising in a 1974-1981 Camaro.